The revolution of AI has been one of the most exciting in the recent days, and AI in medicine has been ringing the bell for a greater future ahead of human lives. In the year 1984, Clancey and Shortliffe, two computer scientists had their say on the intervention of AI in medicine. “Medical artificial intelligence is primarily concerned with the construction of AI programs that perform diagnosis and make therapy recommendations. Unlike medical applications based on other programming methods, such as purely statistical and probabilistic methods, medical AI programs are based on symbolic models of disease entities and their relationship to patient factors and clinical manifestations.” While the above quote would seem narrowed when seen on the anvil of today’s advancement, but this was where the foundation of a vision that has now revolutionised healthcare was laid. In healthcare, AI based systems have been prominently in use in the discovery of newer research and exploring new phenomena in the field of routine clinical trials, diagnosis, and therapies based on a patient’s medical condition. Toronto, Ontario based AIM has been leading such an approach since its inception. Originally, a spin-off of a medical and laboratory business, the purpose of AIM was to bring automation and computerization to the process tests in the laboratory, something that was unthinkable in the late 80’s. Currently, the firm has been vigilant on detecting and reporting cancer cases at various stages and has been relentless in building intelligent information systems (AI enabled) to help improved decision making. “Before when cancer was being reported through manual methods, there were more cases of 20% underreporting because of human error. 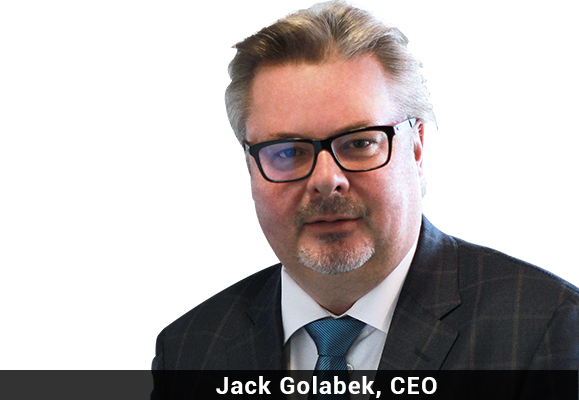 We thought to bring AI approach, a rudimentary natural language processing in the mid 90’s to accurately determine any reportable case of cancer,” says Jack Golabek, CEO, AIM. This very dawn of a new approach in cancer reporting was the genesis of their Automated Cancer Reporting Solution, E-Path Reporter. “The solution has changed the way cancer data was collected,” points Jack. Earlier, all the data was collected manually and hospitals had to involve in tedious methods of going through their medical records each time to find a case of cancer. Healthcare professionals had to manually read about 100 reports to arrive at 10 cases of the disease, leading to not only a strenuous process, but also an expensive one in terms of the cost. “We automated this process, by planting a system, a blackbox in a hospital that would monitor the output in the lab system and automatically come up with reports that were of cancer. The system would then send the copy to the relevant department or the cancer registrar and then send one automatically to the state in a standardised format,” explains George. The benefits were soon realised – the entire process was instamatic, and was in near real-time, and the detection became more accurate. The system now had changed the lab format into one single standard format for easy processing. Through this, the cancer registry received early notifications of newer cancer incidents that would enable hospitals to improve the quality of cancer registration activities significantly. Today, E-Path Reporter runs at about 400 hospitals in the US. The AI based solution has been catering healthcare professionals in interpreting reports in Pathology, CNS Imaging (to detect tumours in brain), and also Chest Imaging with comprehensive reporting, great accuracy and in near real-time. E-Path Reporter was only the start for AIM. While AI was going through a great hype, it was the right time for AIM to jump in and continue their innovation churn. AIM was already embarking upon a solution that would enhance cancer reporting. AIM was building a solution that would extract clinical data and turn it into readable, usable format. Abrevio was AIM’s answer to the bludgeoning clinical processes that would lump massive volumes of clinical data. The solution converts clinical information into usable data that can be searched, analyzed, and be used for cancer reporting, researches, quality checks etc. Abrevio is a consolidated AI based data repository that can help analyse and search for various forms of cancer information. The solution links clinical documents, such as pathology, diagnostic imaging and clinic visit reports and extracts discrete, granular information to annotate each case with patient demography. In near real-time, Abrevio abstracts data for quality monitoring reporting, as soon as the pathology reports are received. It then assesses and studies the qualification of candidates suitable for clinical trials through a Rapid Case Ascertainment (RCA) module which delivers real-time screening system to look for candidates for further studies. “We have built a Rapid Case Ascertainment (RPA) functionality so that labs or hospitals can set up the systems to automatically detect the diagnosis that are of interest to different investigators. This helps clinical co-ordinators, investigators to find a case that matches their trial requirements,” George says. One of AIM’s customer who are using Abrevio are now able to process about 1200 cases of cancer every month, thus evidencing that the solution is enabling hospitals go through trials at a much faster rate and efficiently. The real differentiator that lies between AIM and their competitors is that AIM’s solutions are handcrafted to suit today’s reality. Instead of taking a holistic approach, the Abrevio takes a more practical approach to solve one specific problem. George explains as to what separates AIM from their peers, “Once we configure for the use cases, our clients realize the benefits immediately, whereas our competitors who are going through deep learning systems, have to go through the cycle of acquiring reference data, train the system and then eventually get the benefits.” AIM has continuously been on the forefront of adopting novel, advance methods & techniques to improve patient care through benchmarking tests for accuracy, continuously training and approving systems that work on the anvil of AI to better deliver cancer/patient care.